Go to web100.dnchosting.com:2096. It is a good idea to bookmark (click on Favorites, Add) the address so it is easy for you to come back to it quickly. 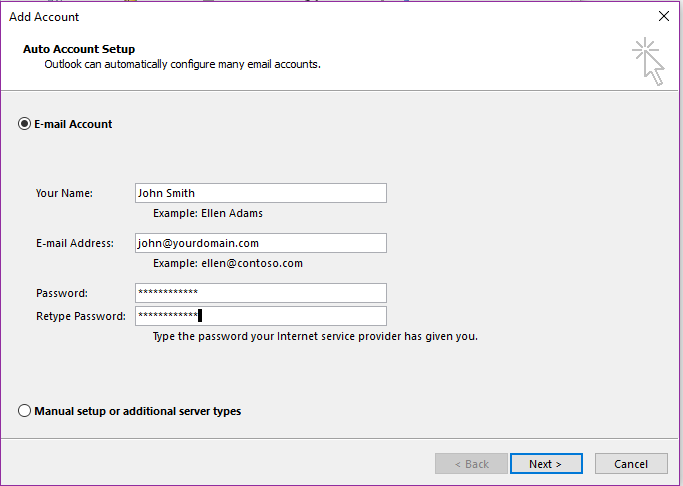 Any configuration changes you make will be made through the webmail interface. When you open up webmail, you'll see something like the screenshot below. Enter your full email address and password. 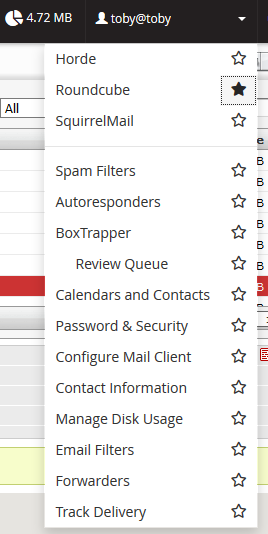 Upon logging into your webmail, it will look something like this. You should have a system message that tells you how to configure your email address for Outlook, iPhones and other clients. 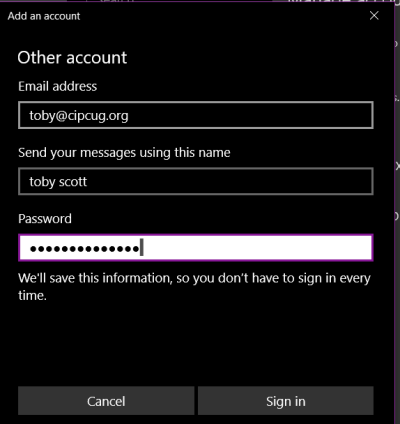 You can use this to configure your email programs or devices. For wider screens select Widescreen (3 column View). For smaller screens, Desktop with preview below is probably best. Most other email clients will look similar. You don't need to know server ports or other obscure items. The wizard will sort it all out automatically. 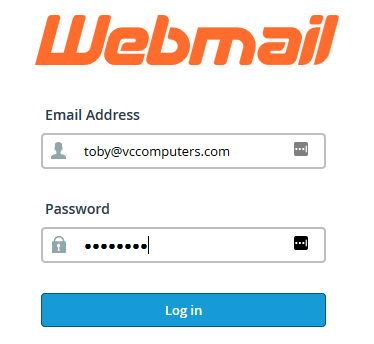 Simply enter your name, the full email address as the username and your password. Click on Next and it should all sort out for you.